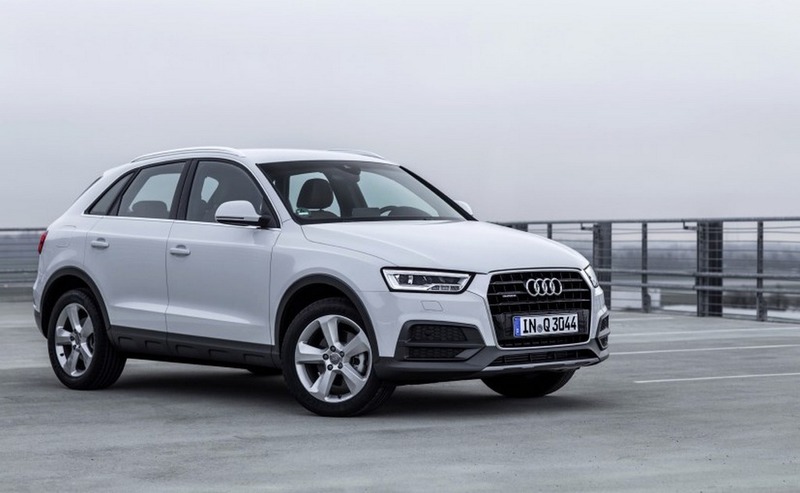 With just three months in, the German manufacturer Audi has launched its third product of the year in the form of a 2017MY update for the top-selling Q3 luxury SUV. The entry-level SUV is priced at Rs. 34.20 lakh for the base model while the top-end Quattro equipped diesel variant carries a price of Rs. 37.20 lakh (both ex-showroom prices, New Delhi). 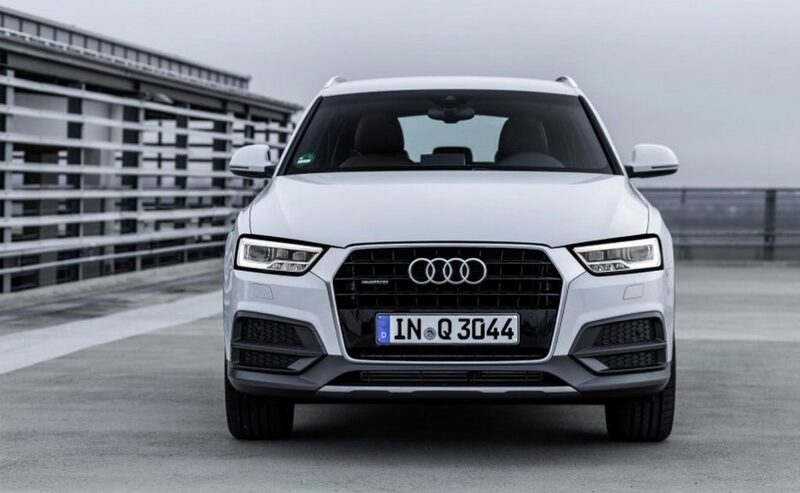 The 2017 Q3 is the second update in as many years and this time Audi decided to not just introduce a minor cosmetic change but make mechanical modifications to keep in line with the competition. However, Audi doesn’t offer a manual gearbox in the Q3 range this time around. The updated Q3 is made available in both two-wheel and four-wheel drive configurations. The 2.0-litre Quattro diesel in the previous model was able to produce a maximum power of 177 horsepower but now it gets a 7 hp bump to increase the output to 184 hp. Despite the power hike, the peak torque remains the same at 380 Nm. The engine is mated to a seven-speed automatic transmission. 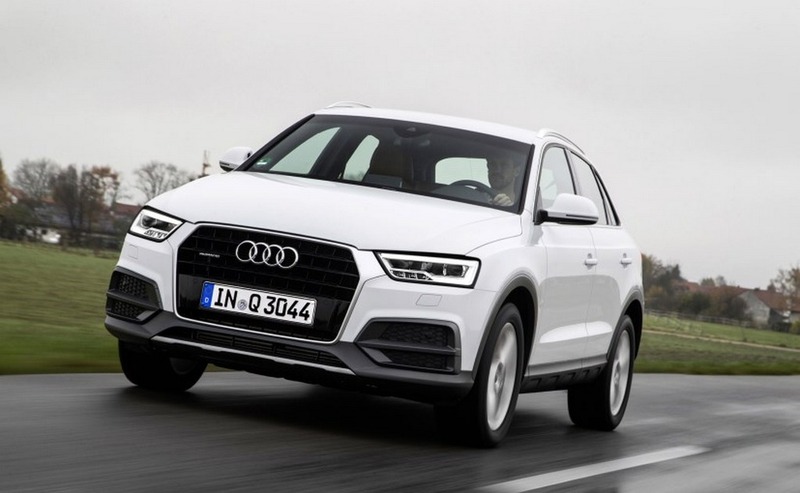 As for the 140 hp and 320 Nm producing front-wheel-drive Q3 motor from the older model, it has undergone significant update as well. Audi has given a 10 hp and 20 Nm increase and ditched the manual gearbox to make way for a seven-speed automatic gearbox. It is more fuel efficient at 18.51 kmpl while the Quattro version is ARAI certified to return 15.17 kmpl. On the design front, the updated Q3 comes with a restyled bumper that coheres with the sharp character lines and a sleek grille assembly. The new air intakes on the front bumper render an aggressive stance as well while panoramic sunroof feature is provided as standard. The C-shaped LED headlamps with LED Daytime Running Lights reinforce its sturdy appeal. Besides the 17-inch V-spoke alloy wheels as standard fitment, the 2017 Q3 gains electrically adjustable front seats, cruise control, a MMI navigation system, reversing camera and Deluxe dual-zone automatic climate control system.